Please tell us about your personal-best Alicante hotel. The one where you just loved to spend your time while you are here? Share your story about the hotel with all of us – we really would love to hear from you. What did you like most about the hotel and what made it perhaps a bit special. Please share! Write your story or hotel review here, because all of us would love to hear about why you liked the hotel so much… please send us your story with the form below. 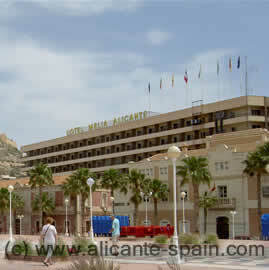 Click on the links below to find some great reviews Alicante hotels and Alicante resorts.